CALGARY — Mitsubishi Canada’s 93 dealerships will have to undergo costly renovations as part of the parent company’s global strategy, even though some of those stores had complied with a similar program as recently as last November. “This is a new-image program aligned with a global image program announced [July 4] in Canada and globally from Mitsubishi Motors Corp. It has evolved from the new image reported last year in Canada,” company spokeswoman Michelle Lee-Gracey said in an email. At least two stores in Quebec were renovated under the previous program, and a third was built to those specifications. Lee-Gracey confirmed those stores will eventually need to be renovated again. Quebec dealer group HGregoire, which owns two Mitsubishi stores, is one of the franchise owners affected by the changes. Its Laval store was revamped in November using the Mitsubishi dealer image in effect at that time. It also recently acquired the Mitsubishi Vaudreuil store. Those stores will be renovated in the future to match the new look, starting with Mitsubishi Vaudreuil before the end of the year, an HGregoire spokeswoman said. The new dealer-image program is paid for by the dealer with support from Mitsubishi Canada, Lee-Gracey said. 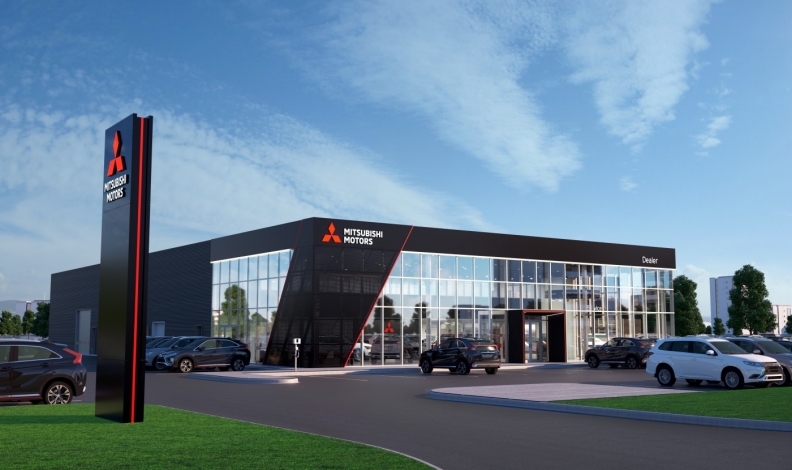 Ben Maitland, president and dealer principal of Platinum Mitsubishi in Calgary, said he likes the new signage, “which should stand out among neighbouring dealerships.” There’s also a new ‘hard requirement’ for drive-through service bays, he said. “We believe it’s in line with our vision of a redefined experience,” he said in a statement. Maitland estimated the changes would total between $600,000 and $750,000. “We’re not far enough into the process to see how it’s going to work,” he said, adding that dealers were shown the new program in late June at a meeting in Whistler, B.C. Maitland said he won’t know the what final tally will be until the fall. The first dealership in the new-image program is slated to open in fall, 2018 in Ajax, Ont., the automaker said.